Not sure why, but for some reason there seems to be an unfathomable number of bands (okay, I can only think of two right now) who are hailing from San Francisco and forming, performing and producing ridiculously good psych-rock, post-punk, and/or darkwave, all with “moon” in the name. ie. The Soft Moon, and Moon Duo. No complaints though, as the sounds these two bands produce transport you into a deep psychedelic trance that make you forget it’s Monday, and you’re rotting… er, working in a cubicle. 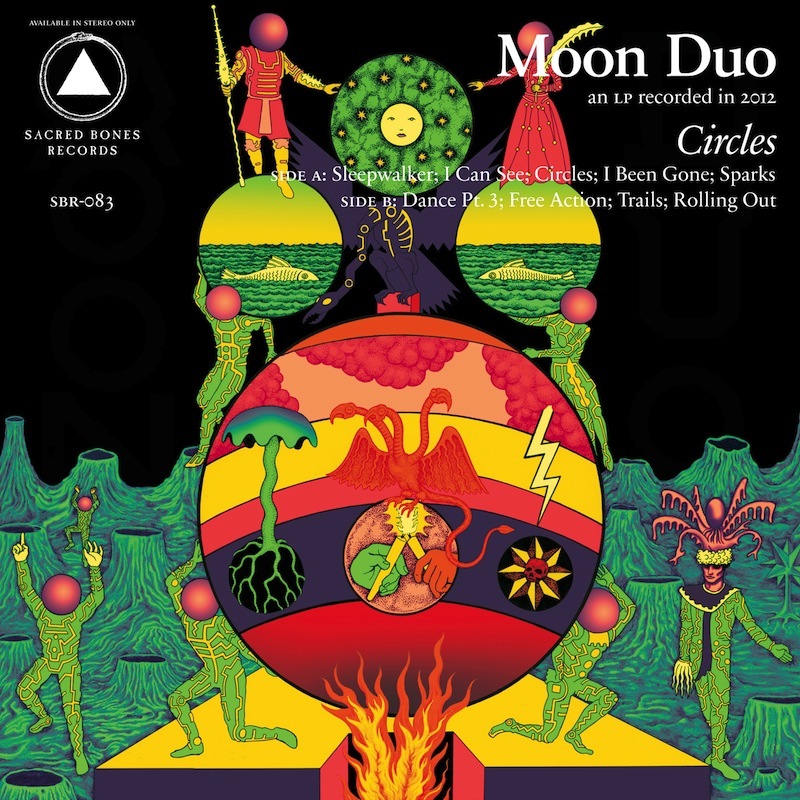 Moon Duo (Ripley Johnson of Wooden Shjips and Sanae Yamad) already have another LP Circles due sometime this fall. Download Sleepwalker – the first track on the anticipated album for FREE on Soundcloud.